Spider-Man: Homecoming is a magnificent triumph that will obliterate fans expectations. Sony Pictures and Marvel Studios have achieved greatness here. They have not only made the best Spider-Man by far; they have created a funny, heartfelt, coming of age story that deftly captures the awkwardness of being a teenager. Every aspect of this film has been touched by brilliance. This review is completely spoiler free, but I will tease you with these two golden nuggets. The last scene of the film, and the very end post-credits scene, are...utterly...ingenious. When last we saw Peter Parker (Tom Holland), he was helping Tony Stark (Robert Downey Jr.) fight Captain America (Chris Evans) in Civil War. Peter did his bit. But instead of being ushered into the esteemed ranks of The Avengers, he was unceremoniously dropped home. Go back to school kid, get your skills in order, here's Happy Hogan's (Jon Favreau) number. He'll call you, if and when Mr. Stark decrees it. Months later, Peter Parker is struggling with just being a teen again. He moonlights as Spider-Man, fights local crime, or at least attempts to. Every call and text to Happy Hogan remains unanswered. He pines away. Daydreaming about the beautiful Liz (Laura Harrier), constantly bullied by Flash Thompson (Tony Revolori), with only the nerdy Ned (Jacob Batalon), and his doting Aunt May (Marisa Tomei), to wonder what's bothering him. Peter's boredom is interrupted by the deadly Adrian Toomes (Michael Keaton). A hot-tempered tough guy, Toomes and his crew have spent years looting alien technology. His hybrid weaponry has hit the New York City streets. Peter's mission is clear. Stop the bad guys and prove to Tony Stark that he has what it takes. Unfortunately for Peter and those around him, he may not be ready to fight in the big leagues just yet. Spider-Man: Homecoming can best be described as a John Hughes take on superheroes. The film, though loaded with stupefying action scenes, is in the vein of Sixteen Candles and The Breakfast Club. Peter Parker is a diminutive high school geek. He's not cool, cannot talk to girls, and only has one friend, who's goofier than he is. It's difficult for any teen to navigate high school, imagine hiding the fact that you have superpowers. Peter struggles mightily, but is not unprepared or unqualified for the deadly fight to come. He has courage, strength, and willpower; every characteristic needed to be the hero. Homecoming is his journey to realization. The film has several relationships that define Peter, but none more important than his mentoring from Tony Stark. Peter idolizes Tony Stark. He is the big brother, father figure, towering hero that Peter wants to emulate more than anything. Tony Stark sees greatness in Peter, but doesn't have the warm, tender personality to foster a fawning acolyte. The pair, on the surface, seems different, but in truth are cut from the same superhero cloth. Tony Stark never connected with his father as a son, a loss that defines his character. He gets another chance with Peter. It is fantastic to see. Robert Downey Jr. and Tom Holland absolutely nail this vital bond. The multi-cultural, ensemble cast reflects the true diversity of New York City. They are integral to this film's success. For the first time in a comic adaptation, Peter Parker's story is truly indicative of where and how he lives. Jacob Batalon stands out as Ned. He almost steals the show with his warmth and humor. Michael Keaton embraces villainy with gusto as Toomes/Vulture. 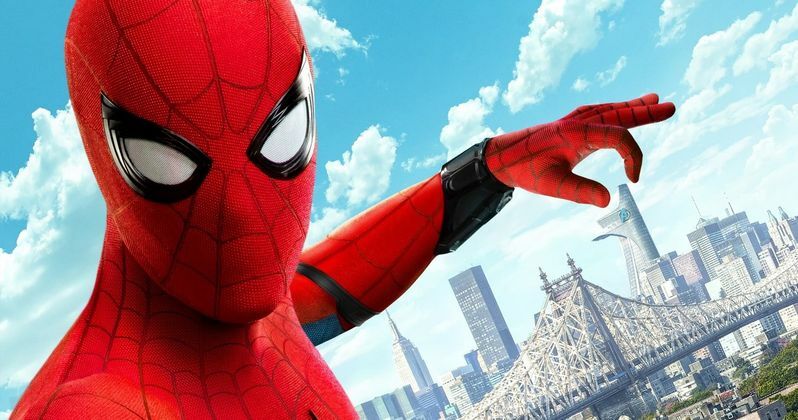 Die-hard Spidey fans are going to love how authentic his character is. The same is true for Marisa Tomei's Aunt May. She is markedly different from what we've seen previously on film and in the comics, but is just perfect for the character. Aunt May has so much love for Peter. It's evident in every scene with Tom Holland. It's rare in a review that I give credit to the Hollywood suits, but it has to be done. I can't imagine the army of lawyers and accountants it took to get this film made. Amy Pascal, the former head of Sony Pictures, and Kevin Feige, President of Marvel Studios, are the real heroes of Spider-Man: Homecoming. They brought Spider-Man into the Marvel Cinematic Universe. Then got the best filmmaking team possible to make this amazing film. Director Jon Watts, who had only made the indie feature Cop Car to this point, was allowed to pursue his vision of Spider-Man. So many tentpole films of this scope and magnitude are bungled because the studios can't get their act together. Spider-Man: Homecoming is what it looks like when everyone is on the same page. They have delivered a terrific film that will knock the socks off audiences.